A soft and comfortable pair of jersey trousers with a bumble bee pale blue on one side and a navy jersey on the reverse. 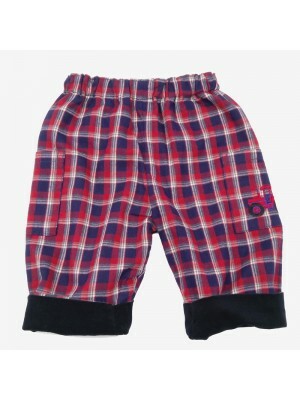 A soft elasticated waist and the bottoms can be turned up to fit. Fabric Content – Cotton / Elastine Garment Care..
A gorgeous pair of reversible dungarees with a cosy tartan on one side featuring a stitched farmyard gathering motif on the pocket and a soft cappuccino needlecord on the other. An elasticated waist and bottoms that can be turned up to fit..
Smart reversible trousers with a tartan on one side and a soft navy needlecord on the reverse featuring a tractor stitched motif on one pocket on the tartan side. A soft elasticaed waist and the bottoms can be turned up to fit. Fabric Conten..
A perfect pair of reversible trousers with a soft navy needlecord on one side and a tartan on the other featuring a tractor motif on one pocket. A soft elasticated waist and bottoms that can be turned up to fit. 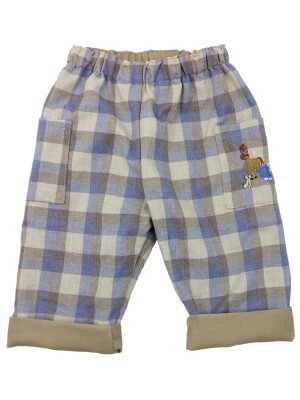 Fabric Content – 100% Cotton ..
A lovely fresh pair of summer baby trousers with a blue and white stripe on one side featuring a farmyard gathering on the pocket and a blue star on the reverse. A soft elasticated waist. 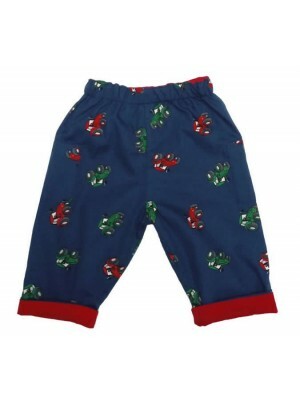 Fabric Content – 100% Cotton Garment Care – Cool mac..
A lovely cotton tractor print on one side and a red needlecord on the reverse. . A soft elasticaed waist and the bottoms can be turned up to fit. 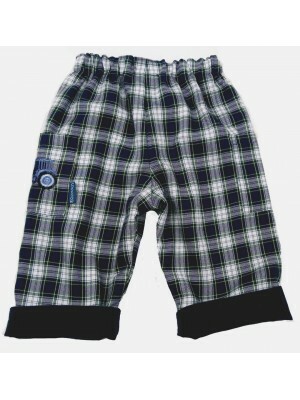 Fabric Content – 100% Cotton Garment Care – Cool machine wash ..
A smart pair of reversible trousers with a tartan on one side featuring a tractor motif on the pocket and a navy needlecord on the reverse. 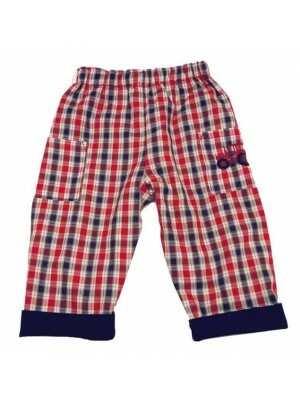 A soft elasticated waist, trousers can be turned up at the bottom to fit. Fabric Content – 100% Cotto..